I am so excited for all the support and love I have received about my little trip that was not to be. But it was not to be. We left early so we could take the boys to the pumpkin patch on a stop on our way to Piedmont. Mr. Know-it-All and my dad suggested I call the book store to find out what the plans were for the signing. So I called and find out that the information I received earlier about the book signing was "slightly" incorrect. The signing was actually not at the book store that was advertised but at a satellite store and you needed to purchase tickets in advance, and by the way they were SOLD OUT!!!!!! I was so sad, disappointed, bummed, angry, grumpy, somewhat relieved from being anxious, and out right MAD AT MYSELF!!!! How could I have not known that I needed a ticket??? 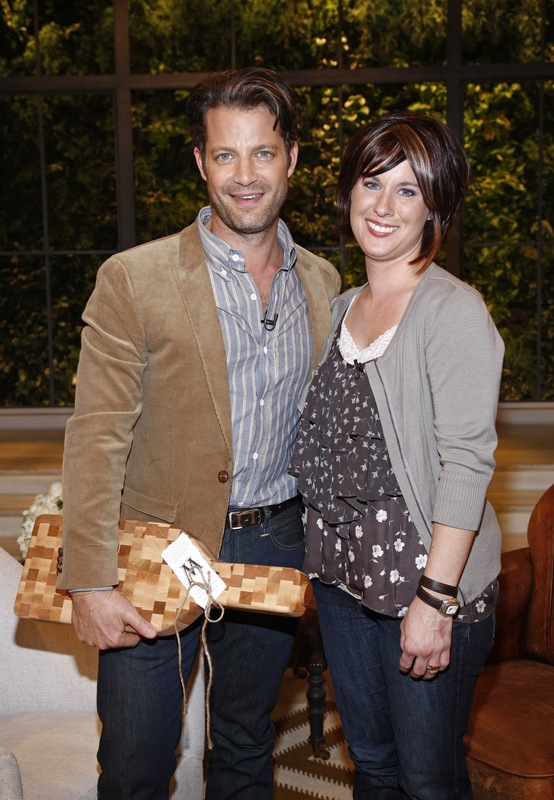 There was nothing on the Nate Berkus website that explained that at all. I am just so disappointed in myself for not knowing and not being able to go. On the bright side, my hair looked good for the pumpkin patch! Picking pumpkins was never so glamorous! On the sad side, I didn't see Nate and his next book signing is only a plane ticket away in Miami Florida on November 17th. Who's coming with me to see NATE BERKUS???? I am going to see Nate and I am so excited! He changed up his website Nate Berkus and posted the new changes on facebook so of course I went to look. And guess what? Never mind I am too excited I will just tell you now! Nate is going to be in Piedmont, California on October 27th at the "Great Good Place for Books" for his new book signing and I am going to be there. Yes I am! I am so excited to see him again. Who wants to join me? You all know Mr. Know-it-All is going to go and so will my little mr. know-it-all replicas. First: Bring my picture of him and me and ask him to sign it. Is that OK? Its just for me because I love him so much! Second: Buy his new book and have him sign that too! Third: Tell him how when I first saw him walk out onto the stage before the show started I was speechless. I was so starstruck and nervous and all I could say was "hi", original huh? And THAT"S IT! ALL I SAID WAS HI! I just want to apologize if I seemed a little weird or unfriendly because I was so nervous. I never got to tell him that because we were zoomed out of the studio so quickly afterward. I think the fourth one is really pushing it, but maybe he will remember me?? We'll see......Stay Tuned.